The Breakdown: Can the US Government Assassinate You? The Obama Administration has authorized the killing of American-born Islamic cleric Anwar al-Awlaki. If the administration can kill US citizens without due process, where does the slippery slope end? Is it legal for the US government to kill people? 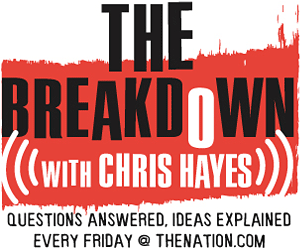 Vanderbilt Law Professor Mike Newton answers on this week's The Breakdown with Christopher Hayes. In April, it was revealed that the Obama Administration has authorized the CIA to target and kill American-born Islamic cleric, and alleged Al Qaeda operative, Anwar al-Awlaki. According to the subsequent testimony of Admiral Dennis Blair, the administration’s Director of National Security, the targeted hit on al-Awlaki was not an exception to the rule; it fell within the legal rights granted to the executive. The unrestricted bullseye attached to al-Awlaki has many human rights activists, civil libertarians and legal scholars increasingly concerned about expanding executive authority. If the administration reserves the right to kill US citizens without due process, where does the slippery slope end? To explore the legality of assassination and targeted killings, this week’s Breakdown with Christopher Hayes welcomes Vanderbilt law professor Mike Newton. Glenn Greenwald argues vehemently against authorization. Democracy Now! explores the topic. More about our guest, Mike Newton.